Not unusual to have murderous bandits on top of your speeding ride. 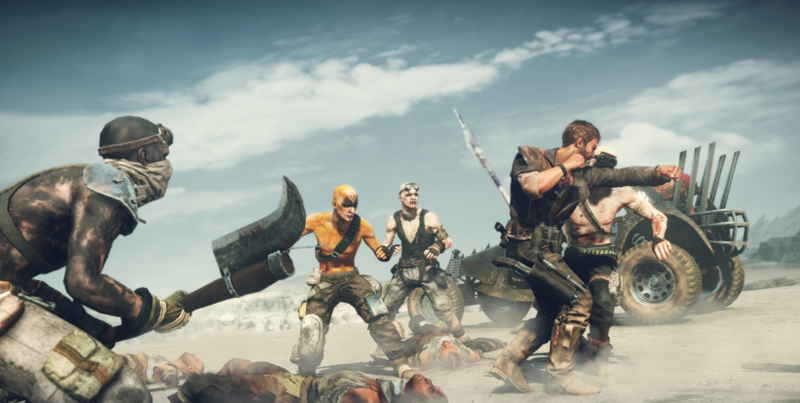 Mad Max is an upcoming desert open-world game, and it has many fans eagerly anticipating its release. If you are not familiar with the game, read on to get caught up with everything you need to know! Also creators of the awesome Just Cause series. 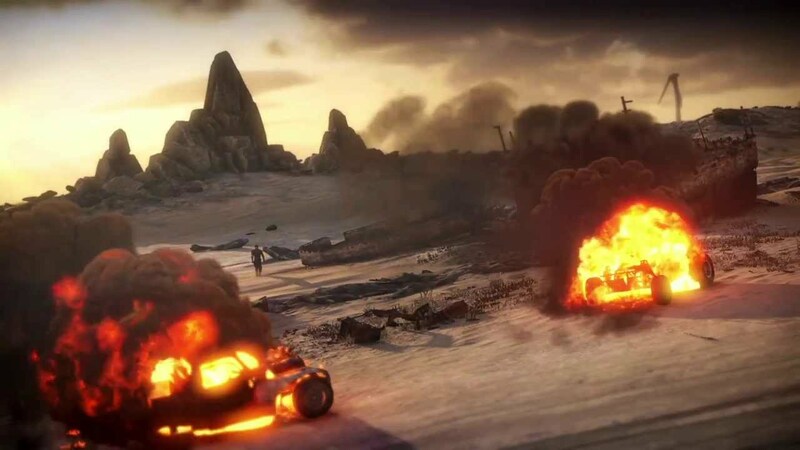 Mad Max is being developed by Avalanche Studios, a video game developer based in Sweden that also brought us games such as the Just Cause series (1, 2, and 3) and Renegade Ops, among others. This should be exciting, given that Avalanche has a history producing other successful open-world games, as well as games that share a few gameplay and plot traits with Mad Max. Renegade Ops, for example, was a game in 2011 which also featured extensive vehicular combat sequences, which we know will be the focus of Mad Max. Mad Max takes place in a dystopian, post-apocalyptic desert environment, where your character Max must desperately look for and collect resources, while at the same time fend off attackers and thieves. As the storyline progresses, Max and his mechanic Chumbucket will get closer and closer to upgrading the car Magnum Opus into the fastest and most destructive vehicle ever. As with many dystopian stories, it is centered on our protagonist wanting vengeance over the tyrant Scabrous. In the beginning of the story, Scabrous’ soldiers attacked Max and stole most of his possessions, leaving him to die in the desert. Luckily, Chumbucket helped Max get back to his feet (literally and figuratively), giving birth to an epic quest for revenge. Max, our game’s troubled hero. Max is the main character and protagonist, and he is mainly driven by revenge after being attacked and left for dead by a group of villainous bandits. He partners with Chumbucket, who is driven by his desire to craft the perfect vehicle. Despite their very different backgrounds and motives, these two characters get together for a very dangerous –and thrilling- ride. These thieves will try to steal all you have. From the beginning of the game, it is easy to recognize that there is no shortage of bad guys running around. Despite the fact that Max and Chumbucket can also make alliances with characters they meet throughout their journey, a lot of characters scattered around the dystopian wasteland are always looking to steal your prized possessions and scarce resources. In a world with no guarantee of food, water, or safety, it is no wonder that the environment will be hostile and unsafe. Thus, our characters must always keep on the lookout for strange and hostile people. 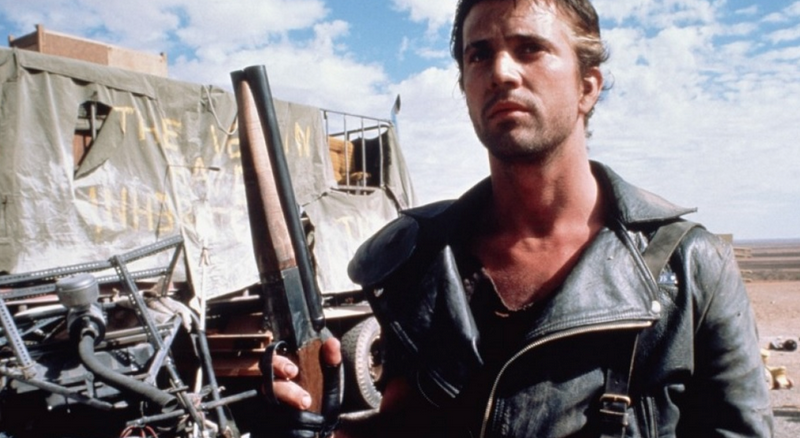 As already mentioned before, Mad Max takes place in a dystopian desert wasteland, with little resources and even less hope. 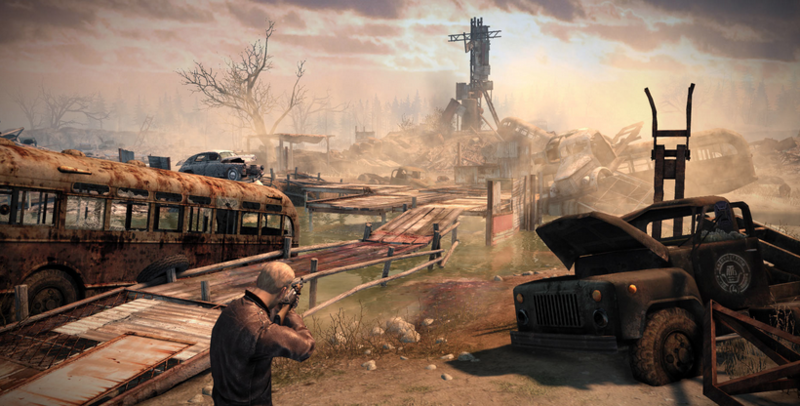 The game is set in an open-world, just like the famous titles Grand Theft Auto, Far Cry, and Just Cause. This will be one of a few games which takes the open-world concept away from populated areas, or areas full of life. 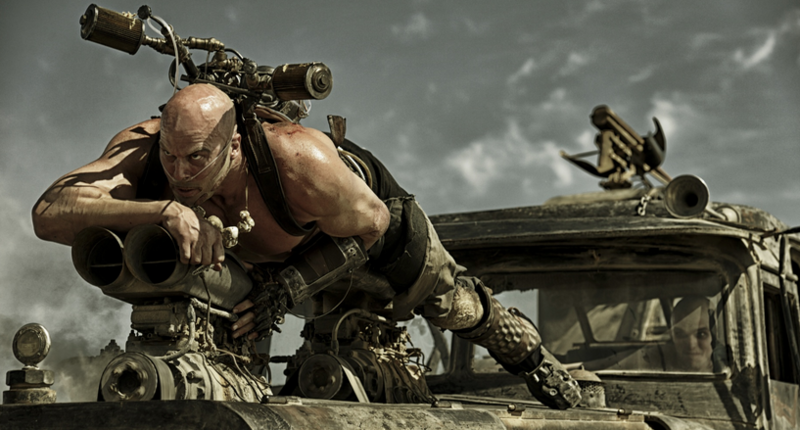 The Mad Max world is dry, lifeless, and dusty. All you can see are rocky mountains, sand dunes and barren plains. Although this may suggest an environment that isn’t as visually appealing as other open-worlds, it is definitely a fresh and original setting which fans will enjoy. Driving into sand storms at full-speed will be an experience just as satisfying as exploring other kinds of open-worlds such as the one in Grand Theft Auto. Sniping cars from far away is one in many ways to dismantle your enemies. The combat in Mad Max is heavily centered on weaponized vehicles. Speeding through the desert, Max and Chumbucket will be able to make use of machine guns, pistols, flamethrowers and other weapons to annihilate enemies in pursuit. However, the player will also be able to use more tactical –and less destructible- methods to get rid of enemies, including harpoon launches to remove the drivers from their intact cars, which can then be used as scrap. 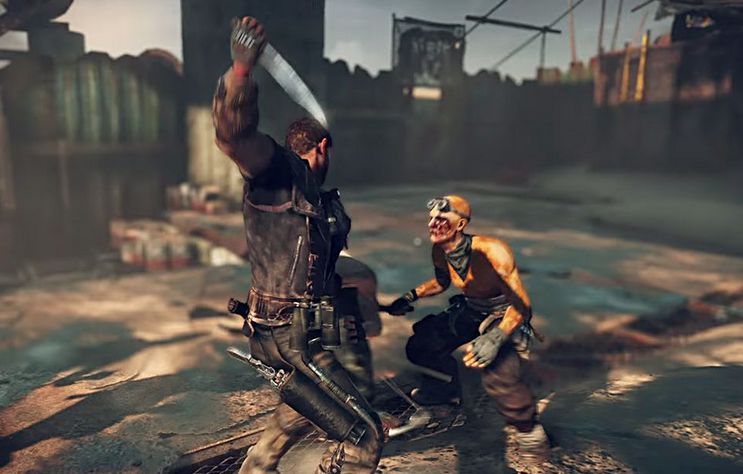 Another element of combat in Mad Max is hand-to-hand combat. When you are not trying to drive another car off a cliff or into a hill, you will be able to take the bandits by hand, being able to use your firearms as well as your hands. Because your resources –including ammo- are very limited, there are various melee options you can use, such as knives and baseball bats. In the beginning of the game, you are attacked by a group of bandits, who you later find out are all led by a warlord called Scabrous Scrotus. The whole storyline revolves around your character looking for revenge on this warlord, who also happens to be supported by an army of allies. Although you start off with almost no resources, your character must collect scrap to build a car strong enough to defeat the tyrant. 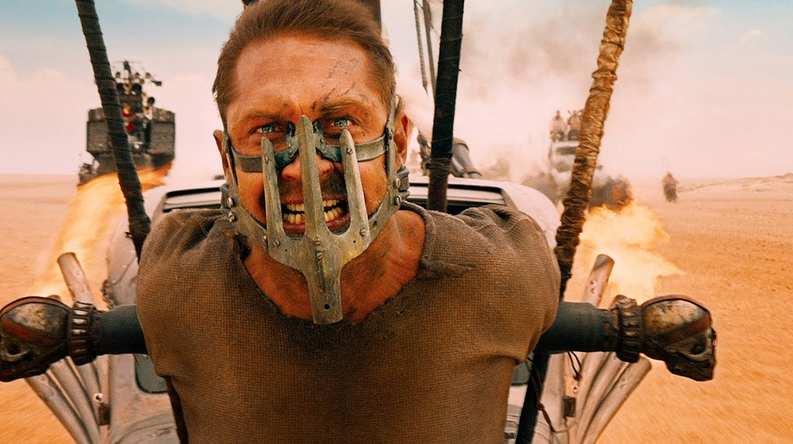 Below are some trailers for Mad Max, check them out! Gameplay: This is an awesome gameplay trailer which gives us a snippet into the story’s background, introducing Max as a troubled but determined driver. Cinematic: This trailer showcases some of the awesome car stunts that will happen during your journey, as well as the hand-to-hand combat between Max and the bandits. 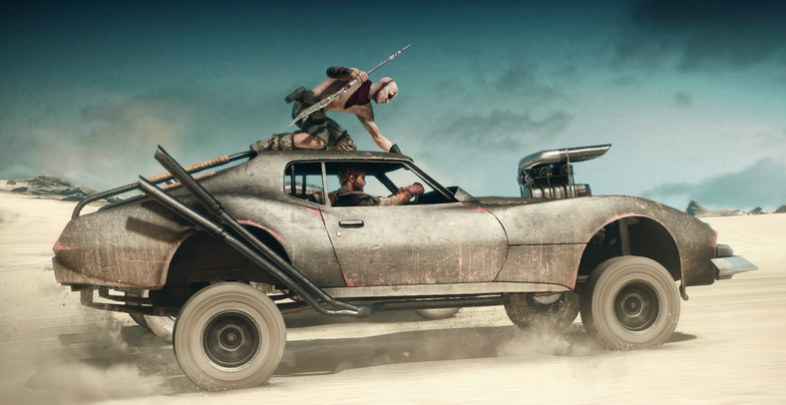 Mad Max is schedules for release on September 1st, 2015 for North America, September 2nd for Australia and September 4th for Europe. It will be available on the PC through both Linux and Microsoft Windows. As for consoles, it will also available for PlayStation 4 and Xbox 1. If you liked all the information you read here, make sure to check out the official game website! It features other cool trailers and videos, as well as more detailed information about the game and the release process.